I have a new teacup, a dollar at an estate sale. I've always wanted one with feet. Or are they "legs?" I looked up "footed teacup," and that seems to be a cup with a little base. I already have a number of those. What I have here is called a "three-legged teacup." But I also saw some of these teacups online referred to as having three or four "feet." Feet, legs . . . it's still cute. I've seen some beautiful silk ribbon embroidery over at Flower Lady Lorraine's (not her main blog), and have been inspired. When I saw this at the library for 50 cents I snapped it up. Now that I have more bookshelves going up, the prohibition against buying books is over. Uh-oh. And I know the perfect place for some embroidered ribbon flowers. The Christmas cactus always blooms at Halloween and then around Valentine's Day. I told my youngest son, the campaign manager, that I'd help out on election day tomorrow, so I find myself assigned to be a poll challenger. It sounds rather aggressive, but I've been assured that I merely have to type names all day into my smart phone and keep an eye out for any issues. I don't have to do anything about them, just report them. Okay, I can handle that. Just give me a thermos of coffee. This night owl has to report at 6:30 a.m. I'm joining Sandi at Rose Chintz Cottage for tea today. Good Morning, The tea cup is a lovely find. I adore your afghan and the ribbon embroidery would be so pretty. The color of your cactus is beautiful! Get lots of rest today in preparation for tomorrow! Wow Deborah, what a deal,on that gorgeous teacup! It's so elegant, isn't it? I don't have any teacups with feet. Your afghan is sooo pretty and will be enhanced even more with the embroidery. Get lots of rest for tomorrow's busy day! Hi Deborah, I LOVE you teacup find and the blanket you are knitting is just gorgeous. Good luck tomorrow and how nice of you to help out! Take care. 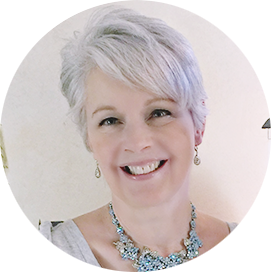 Hi Deborah, You are quite a crafter! 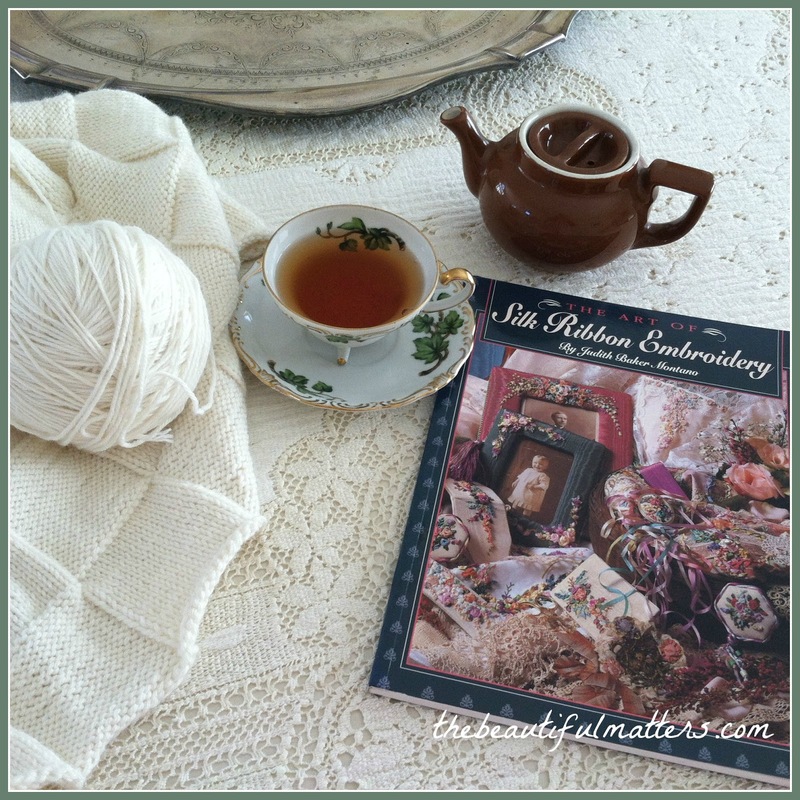 What talent you possess; a skilled knitter (love the afghan pattern), a writer, photographer - and a sharer of all things beautiful. 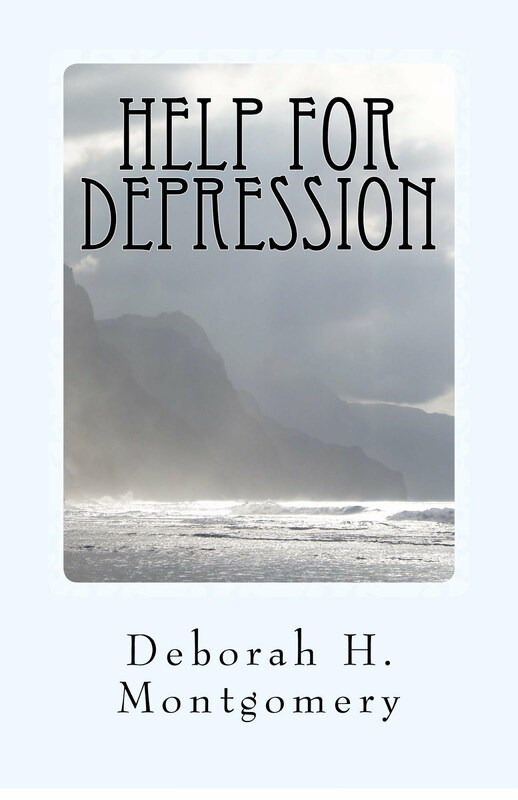 I do love your blog, Deborah. Your new teacup is sure pretty! Enjoy! Hi Deborah...I love your new teacup...feet or legs..who cares? Just cute! I love them too! I did some ribbon embroidery, but went back to cross stitch. My sister did a lot though. I love your afghan...my knitting doesn't stay to gauge...so back to cross stitch I went! Lovely photos as usual! Ooh...love that little "footed" teacup! I have one with four feet :) The afghan is gorgeous and will be even moreso with those lovely ribbon roses...and yes, my Christmas cactus blooms at Halloween too! Yep...I too call them feet and than when I was just blogging someone answered me that 'she loved the teacup with legs' Oh well, my mom calls them feet too, so I guess is how you see them, lol! Your DOLLAR teacup is gorgeous, my goodness, a gift! I needle work and hand embroider as well and I've thinking that maybe I should embroider a Onion pattern in blue and white tablecloth. Love your photos too. 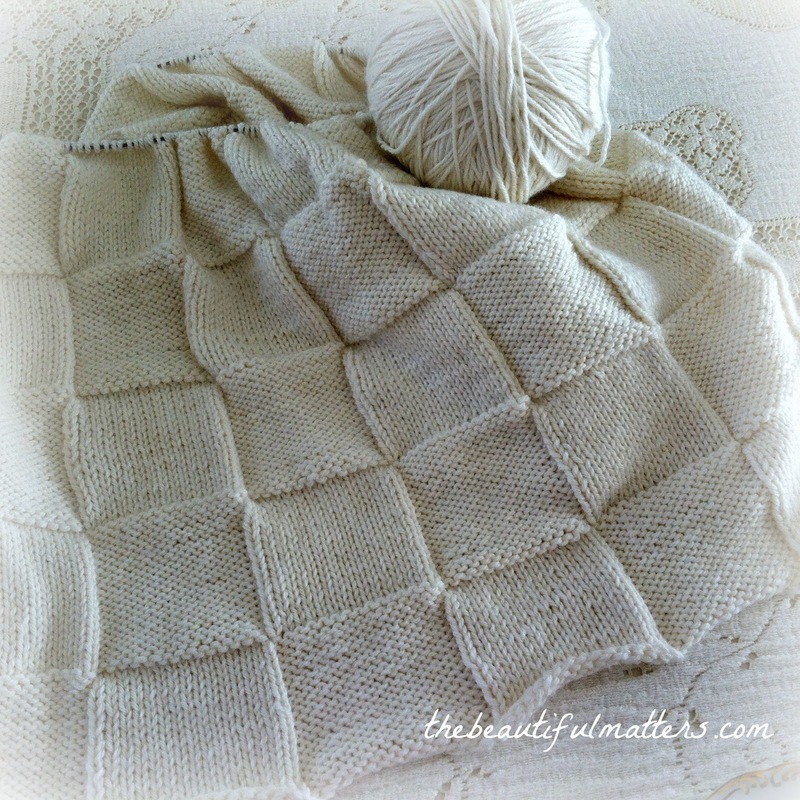 The blanket is so lovely, I can't wait to see the embroidery you plan to complete on it! 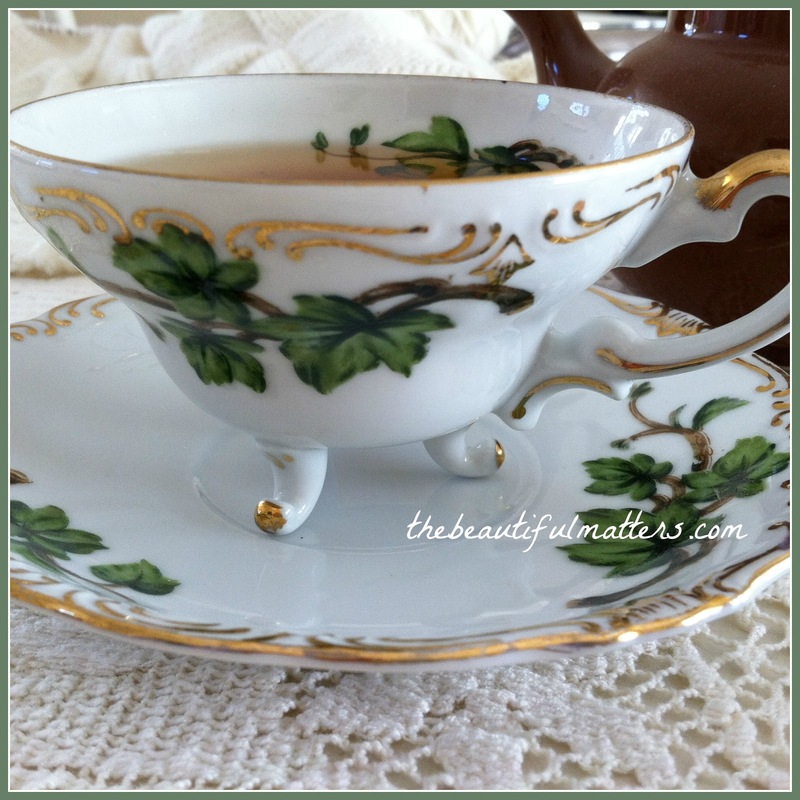 Your tea cup is gorgeous, what a great find! The teacup and saucer are exquisite, a real delight and a great find. The afghan is really coming along it is stunning. Have a great week. I have one teacup with feet. It was a giveaway I won years ago. Yours is really cute with its leafy design and you cannot go wrong for a dollar. I love your afghan! How I wish I could knit/crochet but I never really was interested when I was growing up. I was more into music, cooking, baking, art and makeup. :) Your afghan would be a stunner with ribbon flowers! Thanks for joining me for tea and enjoy your day. That teacup and saucer are lovely. I don't think I've seen one with three feet before. The book you bought was a great buy and I'm sure you'll get much use out of it. Thank you for your kind and encouraging comments here. I'm just a novice, still learning. I love three-legged china cups. Yours is a beauty. And the ribbon art book -- now that's a bargain find for sure. How splendid that you have somewhere to create something on. Whew... that must be a real relief to have the prohibition of more books OFF now! What a sweet teacup, Deborah! I'm sure it makes tea time even more special! Your afghan is so pretty right now, when you finish the afghan I hope you have tea with it again! I enjoyed seeing your Christmas cactus, it sure blooms early! You can be sure that I'll be voting! :-) and what a cute teacup. I guess I would have called them 'legs' and I've never seen one like that before. What fun! The afghan is so pretty. Is it a bunch of little knitted squares crocheted together? I'm not sure of the process. But it sure is pretty. My Christmas cactus is sitting out on the front porch under blankets. I know I have to bring it in soon, but I have so many plants in here already. Legs, feet, as long as they hold the teacup up, right ? I've seen Lorraine's exquisite ribbon embroidery , maybe she can tell you if it will wash well on the white afghan. I really think the afghan is beautiful simply white too. Oh good, you can obtain more books to share with us, that calls for a celebration don't you think ? Bring out more tea !!! I loved your footed teacup - what a bargain, wow! Your afghan is amazing, such talent! GL tomorrow - nope we won't forget to vote! Hugs! What a beautiful find in that tea cup, Deborah. I do not own a tea cup with legs or feet. Your hands are busy making something quite lovely. The ribbon will make it even more beautiful when finished. Rest well for your busy day tomorrow. Thank you for such a lovely visit today on my blog. Your words were precious, thank you! 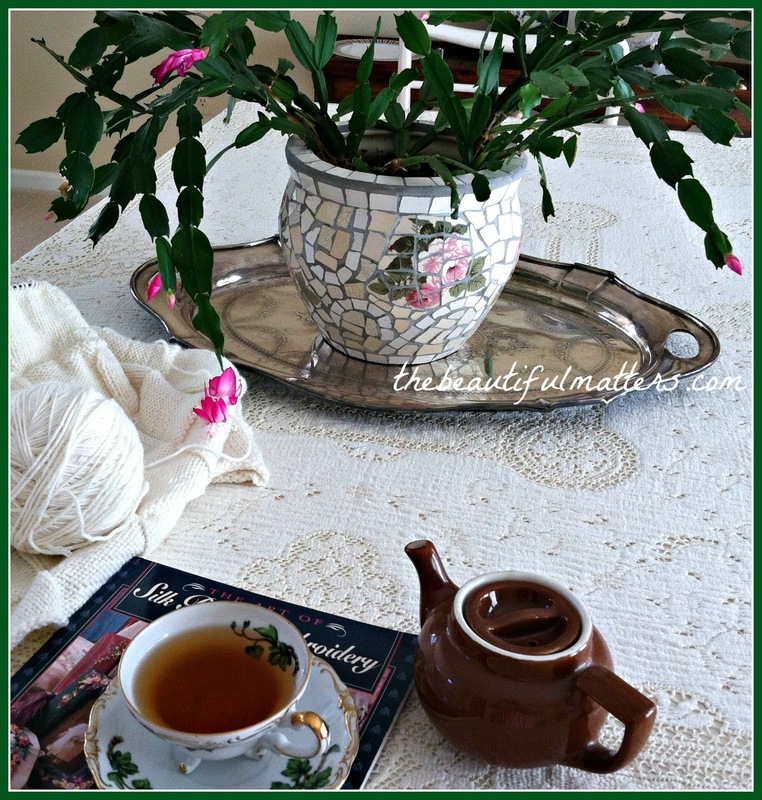 The throw you are making is beautiful and will be so pretty with silk ribbon flowers Love your cactus. Have fun at the polls today. Thank you for stopping by. Your visits are always a blessing. Lovely cup! I like it even more because it was a bargain. My mother is the only one I know who does what ever it is you do to get her cactus to bloom at Christmastime. Now that you have me thinking of it I'm wondering if it's the same cactus. Maybe she just buys a new one in bloom every year! I love that little teacup... and that VERY LITTLE price. 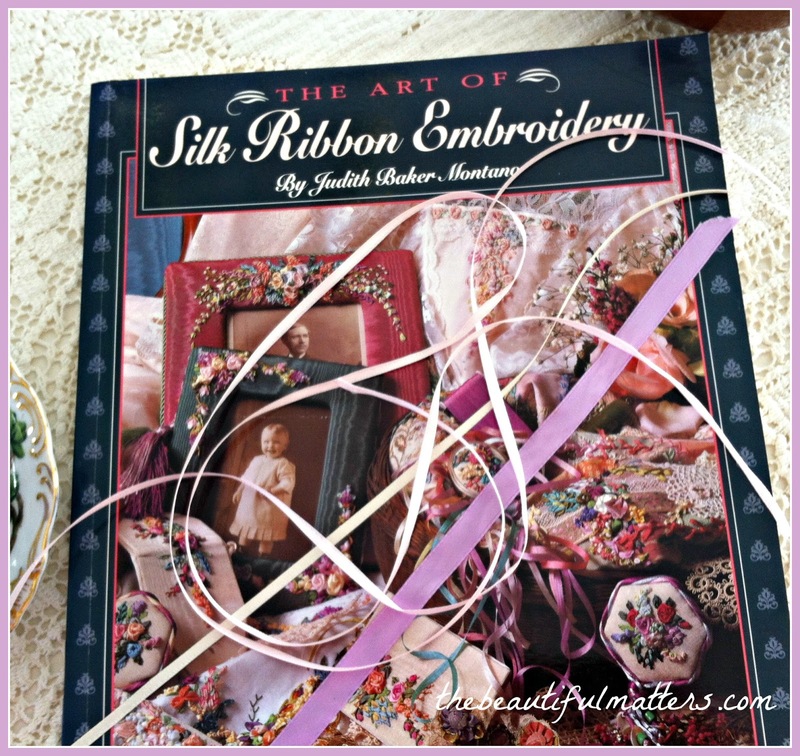 I have that ribbon embroidery book and have allowed it to inspire me for a few little projects. Your afghan will be lovely when so adorned. That teacup is a beautiful find! Your Christmas cactus is absolutely lovely. Have an awesome day as you work at the polls! Good morning, sweet Deborah! Your tea cup is beautiful and it was only $1.00! Wow! I have one tea cup that has legs/feet like this and it seems so dainty and feminine - it's definitely one of my favorites. Happy Tuesday, dear friend. Hugs! You got a great deal on the footed teacup, just wondering if you have to be careful when placing it back on the saucer. Ribbon embroidery would look lovely on your afghan, a gal of many talents! What a fun tea cup! Your knitting is lovely. Such patience! 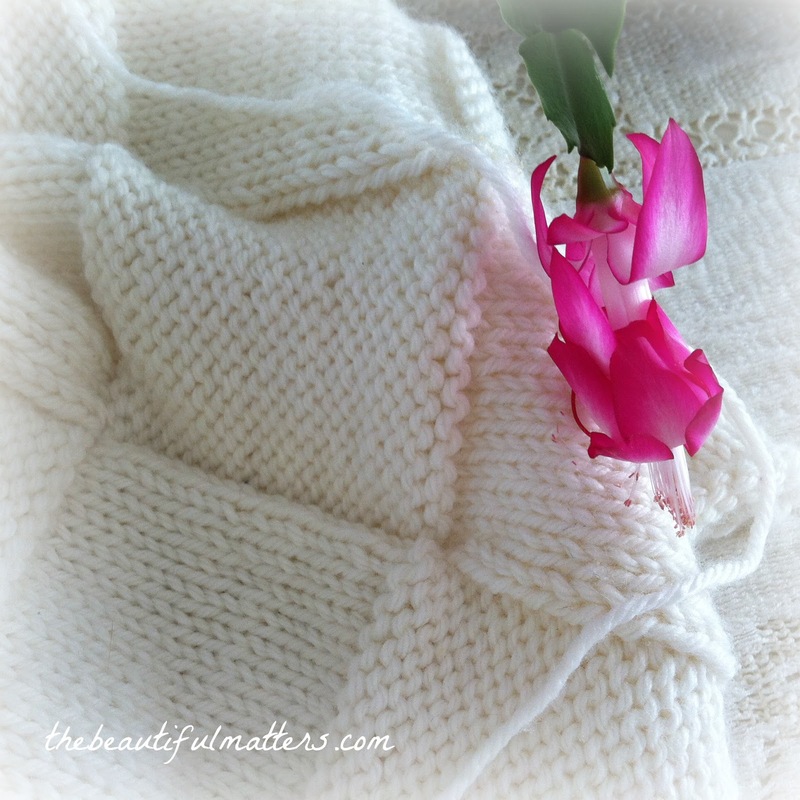 Your knitting is exquisite Deborah-so beautiful! I have never heard if a 'footed teacup' -, they are so cute with their little legs. How exciting that you are going on the campaign trail with your son! Hope you have a great day-make sure you have plenty in that thermos for lots of coffees on the go! Your 3-legged teacup is the first one I see! Sure, footed teacups I do know but this is very elegant looking. Love your knitting work and you are so right about having second thoughts about the ability to wash such fine ribbon embroidery! Lovely Christmas cactus you have and great photos. Hope you survived your job and we wish a great outcome for our nation! At least we both did vote; as always. Love that teacup.. what a great find! I have one with "feet" (I've had no idea what to call them) - such fun! I love that tea cup Deborah. What a great find and steal. The legs or feet give it a very elegant look. Love the photos too. Your created a lovely setting to display your gorgeous tea cup. I love tea! And cute little things like those in your photos. That is a beautiful teacup Deborah! I tried that ribbon embroidery once and it was harder than it looked. Beautiful though.